This is my five star review of Summer Day. 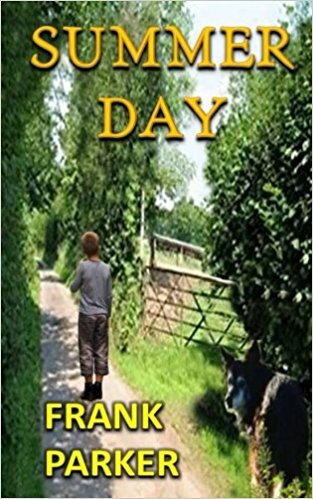 Summer Day is a charming tale of a rural community, focusing on a family who have many trials to deal with in post war Britain. The strength of this book is that it is full of rounded, believable characters, who draw you in to their world. Henry is a boy with a different view of the world than his father, which leads to an accident and misunderstanding. He takes himself off with his beloved dog Bess and the drama proceeds from there. There are multiple viewpoints, which could be confusing, but are not, due to the skill of the author. Add to this mixture a wonderful sense of place. You really feel as if you know the area by the end of the book. I’m sure you’ll enjoy reading this. Here is my 5 Stars review of Patricia Puddle’s Fallen Angel. I’ve not read any books by this author before, but if you are a young adult, I’d certainly recommend this book. This is a short young adult novel about guardian angels and those they protect. Nathaniel is a sincere and hardworking angel who protects Eloise for eighteen years. He is fighting Lucifer for Eloise’s soul. This book is the start of a series and is an engaging read. I promise you will want to read more in the next book. FREE on Amazon’s Kindle and £8.99 or $9.99 in paperback.